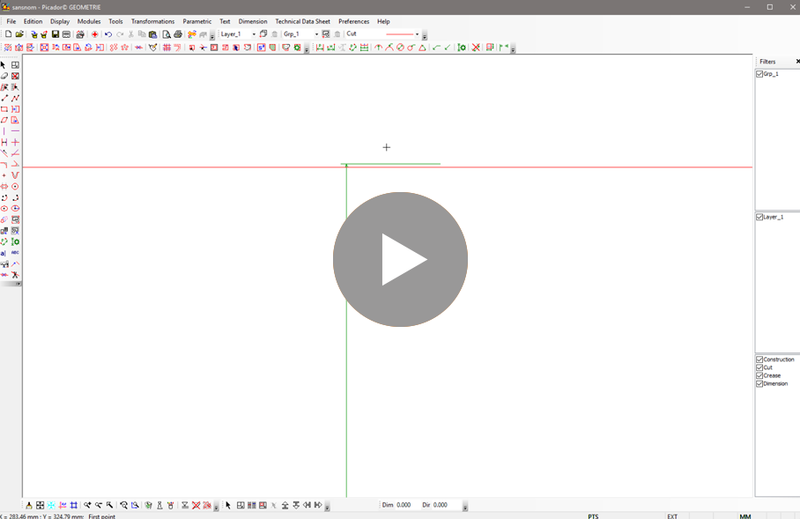 In this chapter we will see how to display dimensions and annotations on the page. 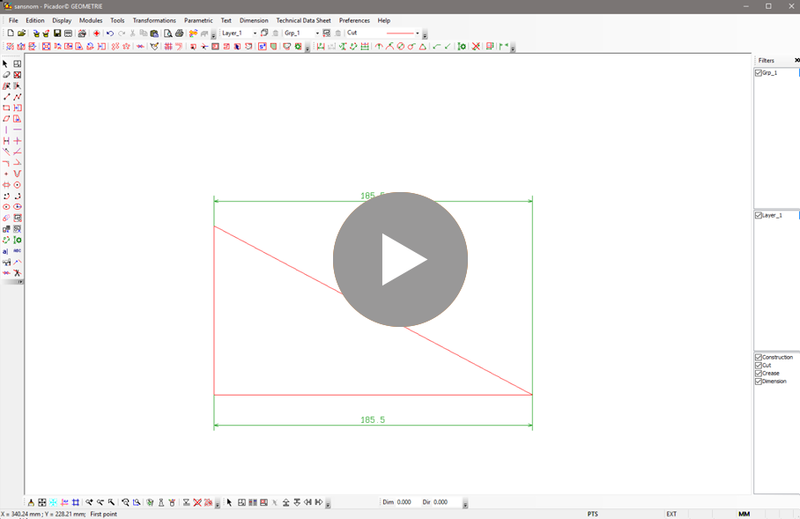 The dimensions tool are usefull to measure a dimension of a element or between different elements. By default it is on the top of the screen, but as you gonna use this toolbar very often you may want to move it on the left side of you screen (as you wish). this tool is as usefull as easy to use. - Select a firt line, then a second. The second line must be parallel to the first or it does not select it. - Move the dimension preview and clic a point to make it appear on the page. After placing a dimension the tool is still select, you can directly place another one. The "Chain of dimension" allow you tu put a serie of parallel dimensions. 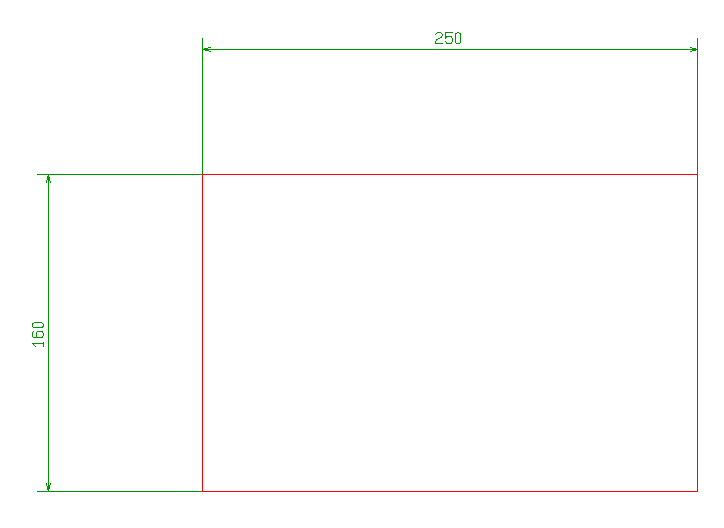 - Select the next line to measure, the dimension appear align to the previous on. - It ask you to place an overall dimension, place it or escape again. Each work the same way but give you a different element, horizontal , vertical or parallel . 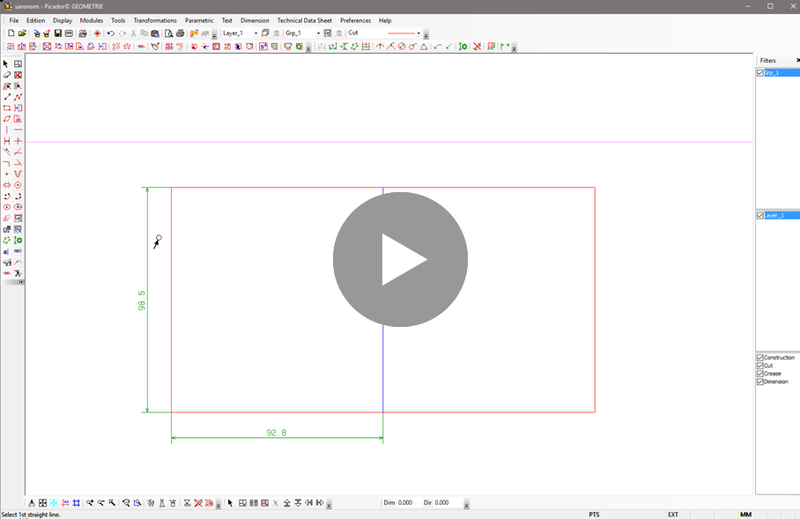 You can modify the appearance of the dimensions by activate or deactivate the "Show short dimension lines" button and the end of the toolbar. 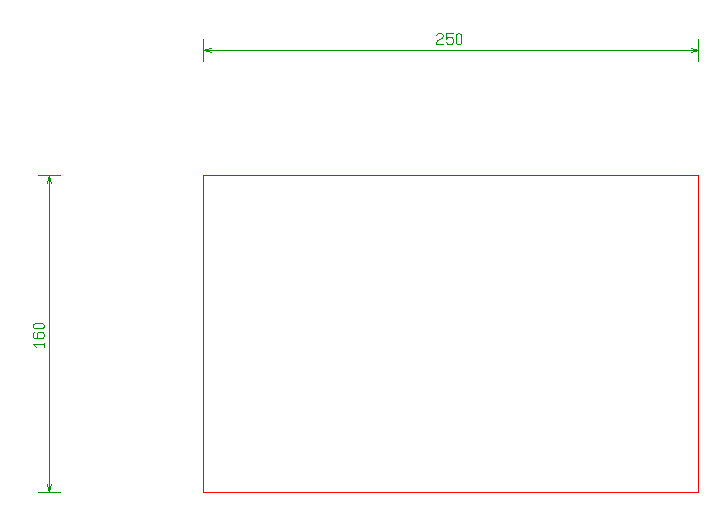 When the drawing become more complex, shorten dimension lines help you to keep the page clear. 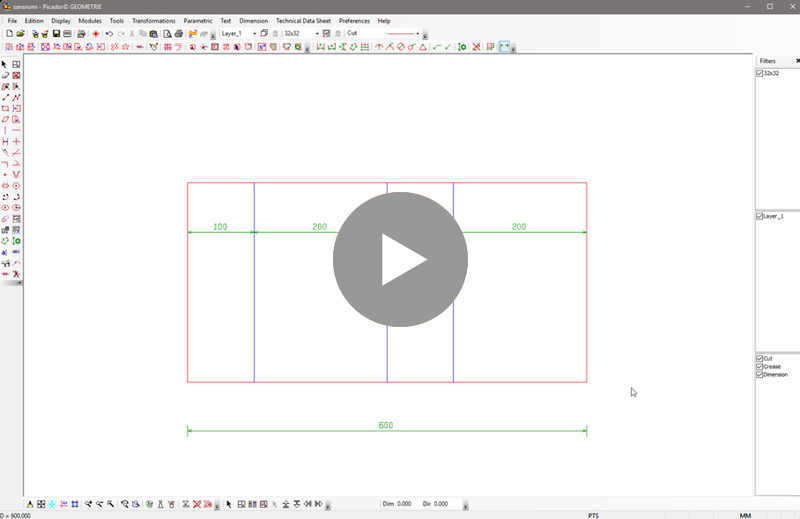 Use the filter bar on the right side of the Picador window to show or hide the dimensions. Use the "erase dimension" to delete all the dimension of the page. Even if we did see how to drow arc and circle for the moment, we can see there is a panel of four tools to get dimension from arcs. Two to get the radius , two to get the diameter . - Select a firt line, then a second.